Germany should invest more to improve competitiveness, said Wolfgang Schaeuble, the country’s finance minister, but it must not increase debt, he insisted. His comments, in Welt am Sonntag, follow a string of data pointing to an alarming economic slowdown in the European Union’s largest economy. Financial markets had one of the most volatile weeks in years, partly because of investor concern about a struggling German economy. Mr Schaeuble is being urged by the US Treasury, the IMF (International Monetary Fund), and many of Germany’s neighbors to boost spending, particularly infrastructure expenditure on projects to improve or extend railways, roads, broadband and energy networks. He admitted that the criticism that his government was not spending enough was justified. He added that Berlin is trying to change that. 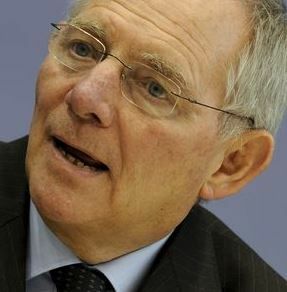 Wolfgang Schaeuble said Berlin will not increase spending at the expense of raising debt. He hinted that the defense budget may be increased following demands from the international community and ‘geopolitical risks’. Germany is currently supplying Kurds in northern Iraq with arms to help them defend themselves against Islamic State militants. In the second quarter of 2014, Germany’s GDP (gross domestic product) contracted. Growth for Q3 is expected to be disappointing. The government’s forecast for the whole of 2014 has been reduced from 1.8% to 1.2%. Even the estimate for 2015 GDP growth has been reduced from 2% to 1.3%. In August, exports posted their largest fall since 2009. However, Mr. Schaeuble insisted that any increase in spending cannot and will not occur at the expense of a balanced budget. Germany is expected to balance the books in 2015. If it manages to do so, it will be the first time this has happened since 1969.